A Sussex drug dealer has been jailed for supplying a cocktail of drugs including crystal meth, cocaine and amphetamines which he advertised as ‘party bags’ in the city, police have said. Ashley Richardson, 29, of Springfield Road, Brighton, pleaded guilty to five counts of supplying class A drugs – three of supplying crystal meth, one of cocaine and one of MDMA and five counts of possession with intent to supply cocaine, crystal meth, MDMA, amphetamine and ketamine at an earlier hearing on November 30 after being arrested earlier that month. On Thursday (January 4) at Hove Crown Court, he was sentenced to nine years and four months. The court heard that Richardson had been given a 22-month suspended sentence back in May last year for four counts of possession with intent to supply drugs and one count of offering to supply drugs in Brighton and Hove, but he had ignored the court order and continued to deal drugs online and from his home, police said. 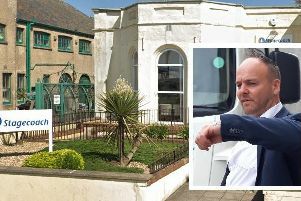 Detective Sergeant Dee Wells from the Brighton and Hove Community Investigation Team said: “Richardson was a significant dealer who was advertising his cocktail of drugs including crystal meth, cocaine and amphetamine as ‘party bags’ online. “He had already been given a 22-month suspended sentence last year for possession with intent to supply such drugs but ignored it and carried on dealing.